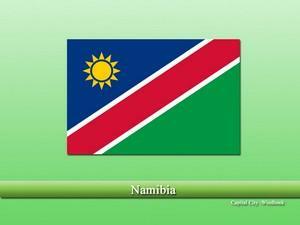 Namibia, precisely the “Republic of Namibia” is a sovereign country in the Southern African region. The country is known for vast desert tracts, rich wildlife including cheetahs, giraffes, etc. colonial era remains, National parks, culture, and ethics. Population in the country is very less due to the deserts. Nama, San, and Damara were one of the earliest people to inhabit the rough and dry Namibia. Later, during the 14th century, “Bantu people” began to settle in the region during the famous “Bantu migrations” from central Africa. Portuguese were the first Europeans to claim the region but didn’t claim the region. The first occupation came from the Germans who established a permanent colony in the region followed by brutal massacres. The native people gave constant resistance towards the colonist throughout. The German occupation was ended after its defeat in the World War 1, and afterward, it was annexed by South Africa. The country finally got its independence after the bloody “Namibian War of Independence”. Namibia is one of the driest countries in the world. This is the region, forest or vegetation in the country is negligible, resulting in the less human population. The country is bordered by the other African nations of South Africa towards the South, Zambia, and Angola towards the North, while Botswana lies toward its East. The country also has a large coastline with the Atlantic Ocean towards the West. Mining, agriculture, tourism, and manufacturing are the main economic drivers of the country. The country although rough, has rich deposits of mineral resources including uranium, diamonds, gold, copper, zinc, lead, etc. Agriculture is done on small scale due to rough and dry conditions. Tourism is one of the leading sectors bringing in huge revenue. Tourists are generally interested in hunting, fishing and animal watching. Christianity is the largest religion of the country being introduced during the colonial times. Prior to the independence, German, English, and Afrikaans were the only declared official languages, but today, there are total 11 officially declared languages. Vastu shastra for home entrance?